BAWI 2016 was a great success, thank you! 175 participants, 4 parallel workshops with an enthusiastici participation, 2 Keynote speakers and other great speakers, an effective networking and a lot of interesting and innovative ideas! The slides of the speeches are visible on our SlideShare! Also, please look at the nice pictures of this amazing day! BAWI 2016 was the fifth edition of Annual conference organized by the IIBA® Italy as Chapter of the International Institute of Business Analysis® (IIBA). – to learn how to apply Business Analysis approach and techniques by BA Professionals and experts working together. 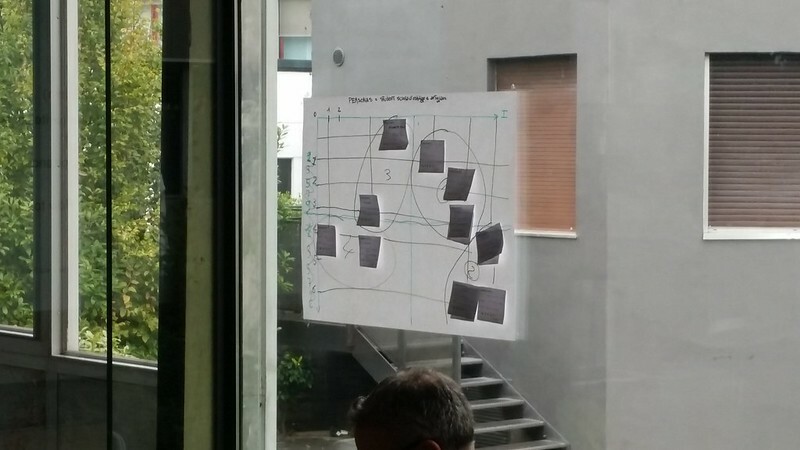 2 Streams were identified and 4 concurrent Workshops (Language – ITALIAN) were organized. Participants could choose one workshop per Stream and participate to 2 Workshops in total. Free Fee only for IIBA® Italy Chapter Members. IIBA® members can activate/renew IIBA® Italy Chapter membership (€ 20) link. € 30 for Non IIBA® Italy Chapter Members. Coffe Break and Light Lunch enclosed in the Registration.